Something around here feels, should I say, odd. 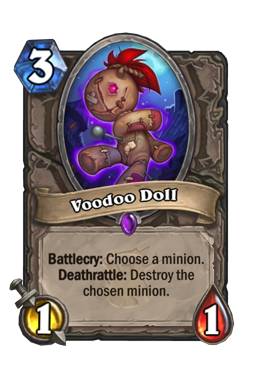 This week on The New Standard we are going out and taking a dive into one of the more interesting archetypes to come out of the early Witchwood meta. Baku Control Warrior is an insanely fun build that runs only odd-cost cards in order to take advantage of the insane 4-armor-a-turn hero power. It is rare that you get a chance to play control in the way this deck does. Rather than loading up on removal, you have many ways to fight for the board that are then backed up with some of the best AOE in the game. While not the same as other Wallet Warrior builds we've seen in the past, there is no doubt that this is a slower deck that slowly grinds your opponent out of cards. If you like armoring up, there is no doubt that this one's for you. The Rush Package As mentioned, this deck looks odd for a pure control list. 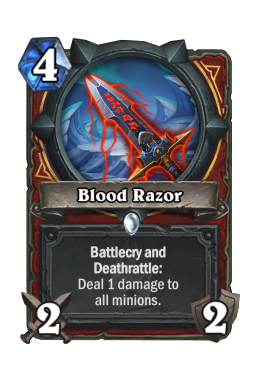 Not only are you missing staples like Blood Razor and Execute , but there are quite a few minions peppered throughout. However, the difference is that, rather than using your bodies to push tempo or set up damage, you use them to cement the board. 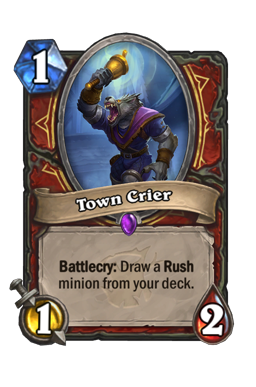 One of the key gears that turns this deck is the rush package, which uses Town Crier to fetch the removal spells of Rabid Worgen and Darius Crowley . 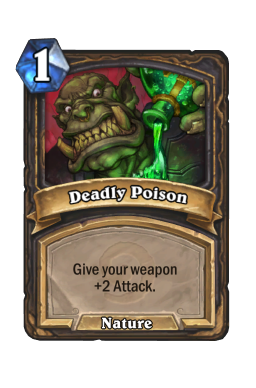 The one drop fights against early aggro, and the rush minions act as removal spells with bodies. They have great utility in terms of trading, but you want to do your best to get them to attack and live. That is because, even if your opponent finishes them off on the next turn, they eat resources and slow things down (which is always the goal). You always want to lean on the rush package before your other removal spells when you have the option to do so. In terms of spot removal, this deck has Gorehowl , AOE, and Shield Slam . 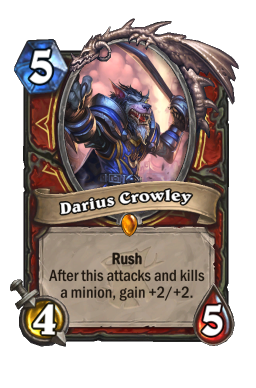 Both Rabid Worgen and Darius Crowley work to expand that suite and give you more ways to pace the game. Those minions can two-for-one all the time (especially against faster decks) but they also work great to trade straight up. For example, if you use a Worgen to take down an opposing 3/3 or Darius to finish off a threat, you simply paid three or five mana for a removal spell. Not the most exciting thing in the world, but the AOE is what holds this deck together. Being able to control the board through minions is a great way to conserve your big spells for the right time. Ironbeak Owl As I discuss in the videos, we have entered a new age of Hearthstone. The meta always shifts with each rotation, and one of the biggest changes we've seen so far is the power of silence. Though the ability is strong every now-and-then, rarely has it been as powerful as it is right now. 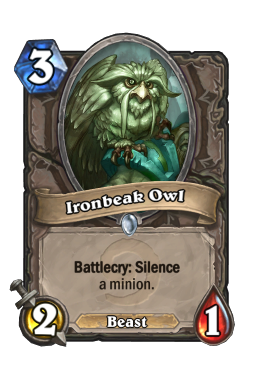 As an odd deck, our silence minion is Ironbeak Owl . The bird has a ton of targets in every single matchup, and you want to be aware of them all. 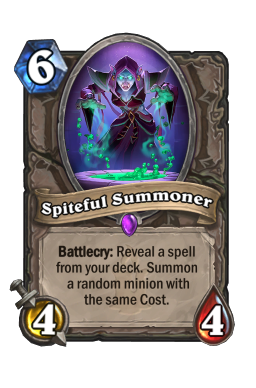 For example, this shuts down Greedy Sprite against Spiteful Druid, Voidlord against Warlock, Cold Blood against Baku Rogue, and Blessing of Kings against Even Paladin. And those are just a few examples. Treat the beast like a rush minion in that you can use it to lock down a threat or buy yourself more time. 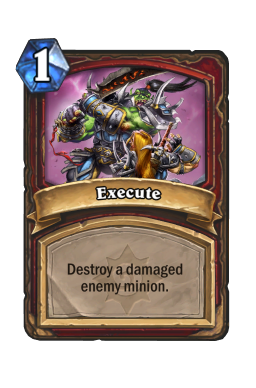 It is also great at shutting down annoying deathrattles right before you pull the trigger on a board clear. One of the more interesting things about the Ironbeak Owl s is that they are inherently useless on their own. That is to say, you are almost never going to play a three mana 2/1 just to play it. That then allows you to save the birds for as long as you need. In some games there may not be any obvious targets, or maybe you've seen what you think are all of the good targets. However, never dump them off unless you are a hundred percent (and I mean one-zero-zero) certain your opponent could have nothing left. In that same vein, it is important to not pull the trigger too early. For example, it can be easy to jump out on an early Cold Blood . However, if you have a Whirlwind at your disposal, it is often better to use that and save the Owl for a Hench Clan Thug. 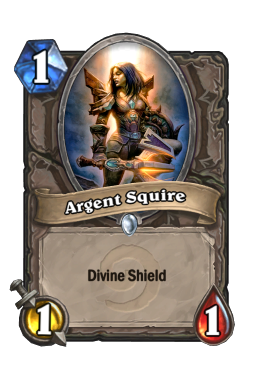 On the flip side, if you have no way to deal with a 5/1 Argent Squire but you do have hard removal for the thug, then drop the 2/1. Always read your hand before deciding how you need to use silence. Tech Cards Another big shift in the recent rotation has been the inclusion of tech cards. While the options, as their name suggests, have been teched in here and there throughout the past, there are a lot of them right now. This is the second time we're breaking this down in two weeks, and with good reason. 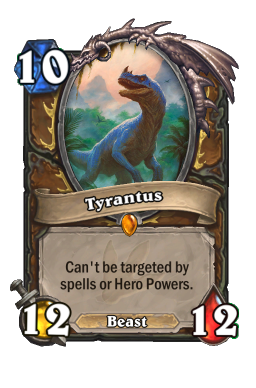 This list is chock-full of different cards that specifically adapt to the current meta. Going the odd route is strong, but it also means you have to find ways to fill out your deck list. 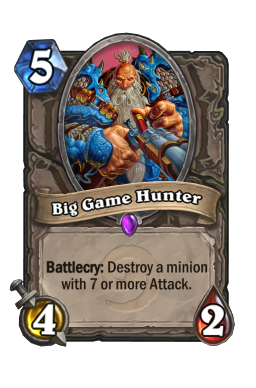 Rather than going down the path of "more removal" we rather have a ton of different silver bullets. 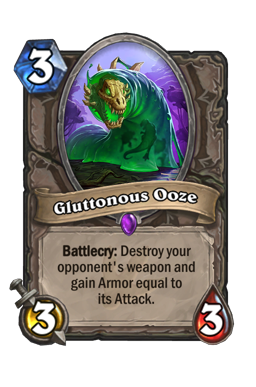 They are, Gluttonous Ooze , Mind Control Tech , Harrison Jones , Big Game Hunter , Direhorn Hatchling , and Faceless Manipulator . When looking at the above list, you'll notice there is something for everyone. Toolboxes are only as strong as the tools in them. 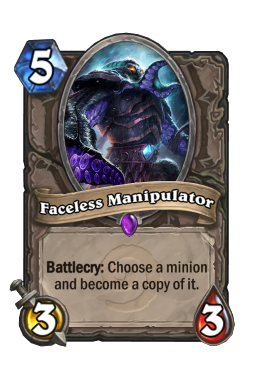 Here, you have two weapon removal options, an anti-aggro tool, a anti-giant (or anti-Spiteful Summoner) tool, an anti-fatigue option, and an all around good card in Faceless Manipulator . Just know that, as always, you can change things up to best fit what you see the most. If you're up against a lot of Hadro Druids or Warlocks, you can put it another manipulator. 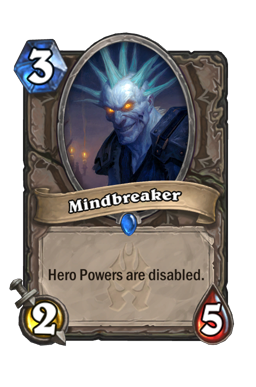 If all you see is aggro, it is easy to cut BGH for another Mind Control Tech or even a Mindbreaker . The options are plentiful, and the only way you can know which ones work best for you are by trying them out. I would stick with this package at first and then slowly tweak it as you see which cards aren't quite pulling their weight. 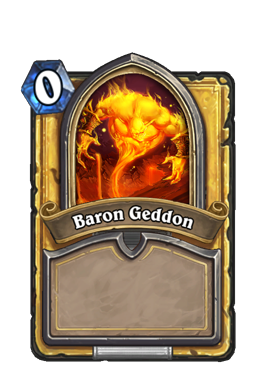 Baron Geddon The more I play this deck, the more I realize just how powerful Baron Geddon is. The 7/5 could be argued as a tech card, but it has applications against just about every single deck. 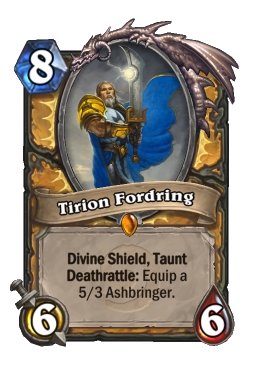 He can straight up end the game against Paladin, but he also clears out a lot of potential threats against midrange as well. Just note that when you're facing an aggressive deck you want to work hard to set the legendary up in a way where he's going to be the only minion on the board. There are a couple ways to make that happen, but one of the best is Reckless Fury for three and then the big bad geddon for seven. In addition, the 7/5 is your best way to push through damage. 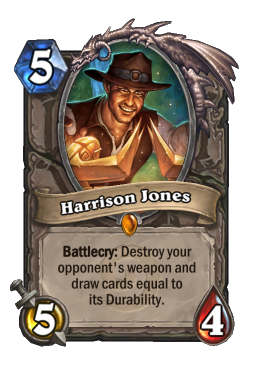 Not only can he repeatedly clear the board, but the seven damage combined with his ability is typically too much for aggro or midrange decks to handle. Once you get him out ahead of a board, you should push hard at your opponent's face. As the videos show, even if your opponent tries to build up walls, you can always silence or remove them away. That strategy of pushing with a big body is also a great way to get value from King Mosh . AOE The final thing we need to discuss when looking at this build is how to use and conserve your AOE. To win with this deck you need to be able to use your clears at the exact right time. Typically, you want to wait as long as humanely possible before pulling the trigger. The way to make that happen is to never blink. Rather than getting nervous, calmly use your hero power and trade with your minions. That then forces your opponent to put on extra pressure and gets them to over commit. 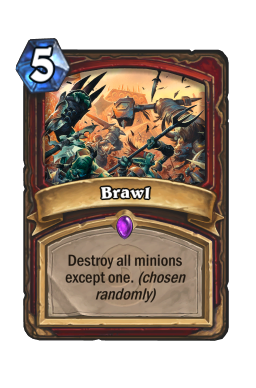 You have three options when it comes to AOE: Brawl , Reckless Fury, and Whirlwind /King Mosh . Of those, Brawl is the weakest because it always leaves something alive. 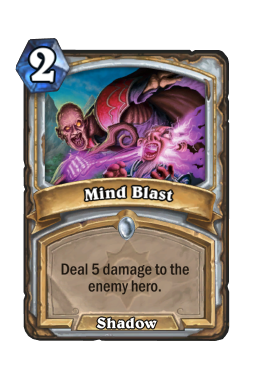 Understand that, and do what you can to use the five mana spell in situations where there are at least some weak bodies on the board. Fury is the hard clear in this one, and that should be the absolute last resort. It is also important to save any spells that might work together. 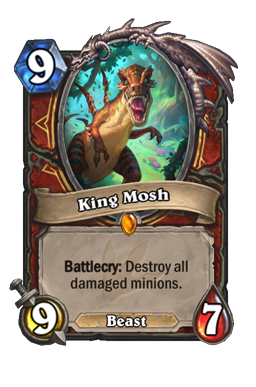 For instance, though burning an early Whirlwind against aggro is fine, you should do your best to conserve it against Spiteful decks to combo with King Mosh later in the game. The same type of thinking applies to Shield Block /Reckless Fury (as evidenced in the video) as well. Losing an activator is always going to be a problem. Also note that the one AOE you need to be careful of is Reckless Fury. 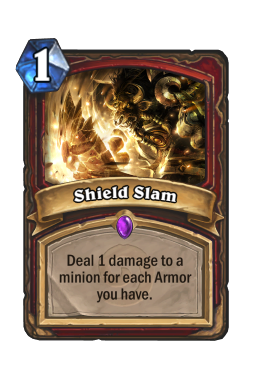 Clearing the board is incredibly strong, but losing your armor can be an issue against decks with burst. 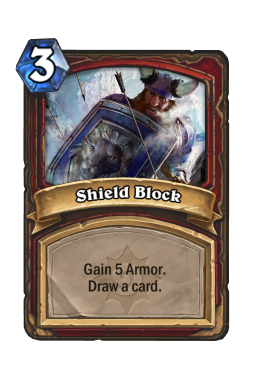 Though you can always go back to four armor after pulling the trigger, it is vital to not leave yourself exposed against things like Leeroy Jenkins , Mind Blast or Cold Blood . Only use the spell in those games when you have a lot of health or a quick way to rebound. The four decks I've seen the most in the new meta. 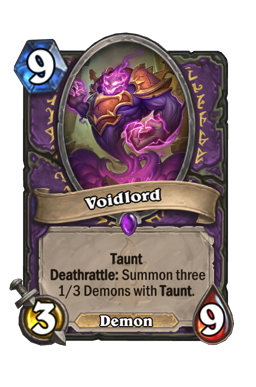 Control Warlock As the meta continues to settle and shake out, Warlock is quickly coming back to the top. 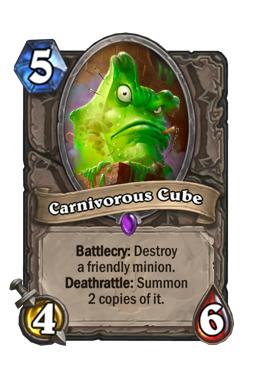 The class, be it Cube or straight up Rin Control, is going to go as long as it possibly can. That is amazing for you because, despite all of Warlocks tricks and sticky minions, you can easily wear them down through constant removal and AOE. 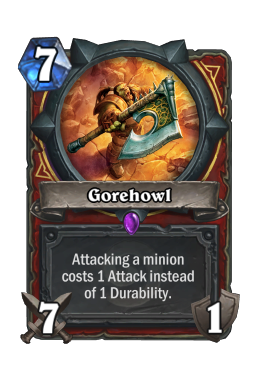 Their double Doomguard turns are extremely susceptible to AOE, and if they try to play slow with things like Carnivorous Cube you can pick them apart with Ironbeak Owl . The biggest rule of this matchup is to be ready for your opponent's Bloodreaver Gul'dan . That is going to be their last hurrah and if you can take it down their demon board with a clear they will be out of threats. No matter what happens, you need to conserve your removal and keep a clear for the Death Knight. 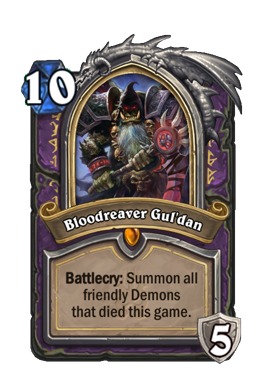 The most important thing to remember is that your upgraded hero power is going to completely lock out Bloodreaver Guldan's three damage a turn. As a result, you only care about pushing your opponent to fatigue. Once they're out of minions, they're dead. It's as simple as that. Just kill everything you see and gain a ton of armor. Never jump the gun here. If your opponent isn't putting on pressure, sit back and make them play to you. 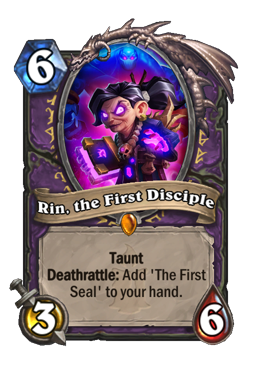 Another big note here is that if your opponent is playing pure control (as evidenced by not playing combo cards) or if they run Stonehill Defender , you have to save an Ironbeak Owl for a potential Rin, the First Disciple . The 3/6 is the only way your opponent can outlast you and you need to stop it before it gets rolling. 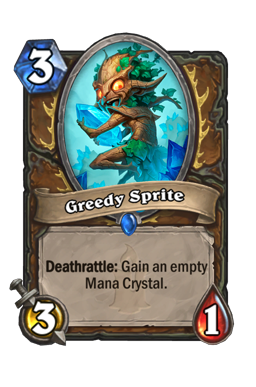 Spiteful Druid Priest seems to have taken a hard turn towards Dragon Control, and Druid has risen up to take its place as the resident Spiteful deck. 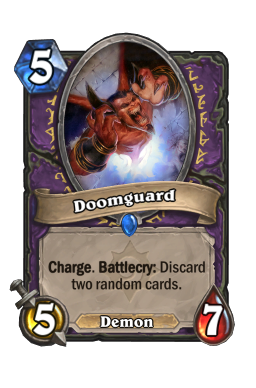 This game, much like Warlock, is going to focus on running your opponent out of cards. However, it is much trickier because of the numerous ways Spiteful decks can stretch your removal thin. 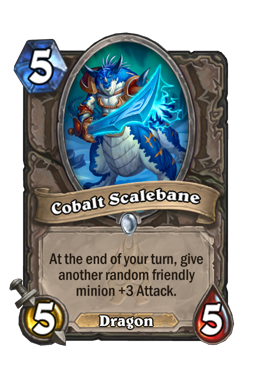 Cards like Cobalt Scalebane , Spiteful Summoner , and even Ultimate Infestation work to create boards without using a lot of resources. You have to actively fight against that by leaning on targeted removal and doing everything in your power to get your opponent to play cards. Constantly hit your hero power and do not be afraid to drop threats just to soak up some hits. A body on the board may not seem like a big deal, but if eats two of your opponent's cards it is a win. Do everything you can to save your AOE. That is always important when playing this build, but when going up against Spiteful decks it is vital. That is because you only want to pull the trigger when your opponent goes wide. This game is largely a chess match where your opponent will attempt to play just enough threats to get your to drop AOE, and you will try to be defensive in a way that forces your opponent to run out their hand. 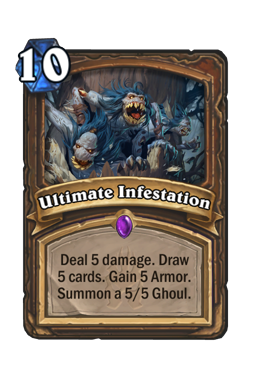 Ultimate Infestation will happen at some point, which instantly gives your opponent a whole bunch of gas. Do not run out your clear spells in the early turns of the game and then get blown out by their new grip. Rather, take this one slow and do not be afraid to do nothing except hero power for a few turns. 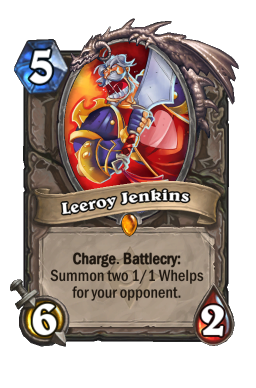 The only burst you need to worry about here is Fungalmancer and Leeroy Jenkins . Take note and gain armor accordingly. Odd/Even Paladin We've finally reached the point where both of these decks have a pretty equal representation (though I expect Even to fully take over Baku in the coming weeks). Paladin is, as you can imagine, one of the easiest matchups for Odd Warrior. 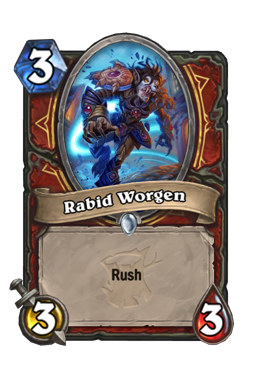 Not only do you have your heavy AOE options, you also have access to rush minions and double Whirlwind for any early game trouble. However, that does not mean it is a free win. Both flavors of Uther have plenty of anti-control tools that you need to be aware of. Level Up! 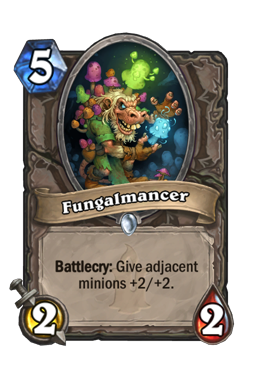 , Fungalmancer and Sunkeeper Tarim can all kill you in a hurry if you aren't ready for them. Lean heavily on your armor in this game and only react the turn before your opponent can take full advantage of the above options. Three, four or five recruits may seem scary, but they are negated by Tank Up. You only get nervous when they can become 3/3's. 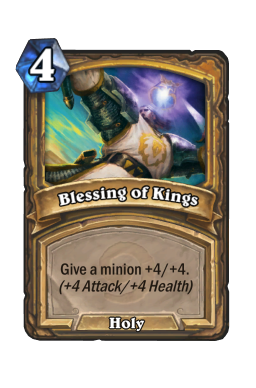 No matter what version of Paladin you're up against, your rush package is going to be incredibly useful. Rabid Worgen and Darius Crowley have a ton of targets throughout the game, and they both do a fantastic job of taking down recruits. Your goal is to constantly chip away at your opponent's board in a way that they have to use their heavy hitters at inopportune times to press damage. 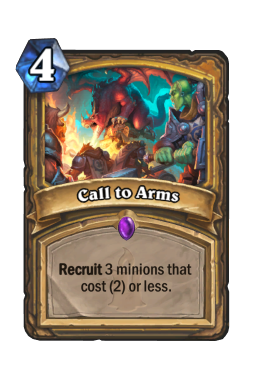 For example, pressing with early removal to get Even Paladin to play Call to Arms into AOE or using your board to force Odd Paladin to use Level Up! on only two or three recruits are how you win these games. It is all about controlling the pace and only flinching once they amount more damage than your hero power. Never get too confident, and do everything you can to set up Baron Geddon out ahead of your opponent. 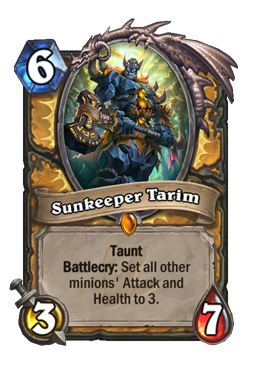 Note: Odd Paladin can pull Sunkeeper Tarim off of Stonehill Defender . Baku Rogue Though I suspect Quest Rogue will overtake this spot in due time, it seems Baku Rogue has become insanely popular over the last week. This game is a tough matchup for Odd Warrior because if you don't draw the right cards you will get obliterated by early pressure. Baku Rogue goes from zero to sixty in a hurry, and you need to be ready for that shift. Your hero power is strong here, but it often doesn't do much in the face of an upgraded dagger of strong threats like Hench Clan Thug. To win this one you need to stave off Rogue's early push and then gain enough armor to make sure you won't die to end-game burst. Liberally use your removal in this one. Letting your opponent build a big board is a great way to expose yourself to unnecessary damage, as is trying to get the most from your removal. 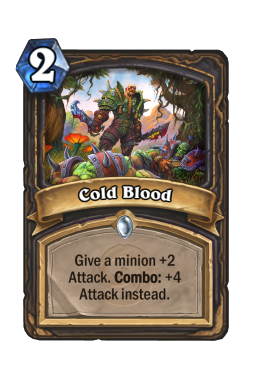 The card you need to hyper-aware of is Cold Blood . Your opponent will always lean on the card when they can. Do not be afraid to get rid of it with Ironbeak Owl and do everything in your power to kill whatever gets equipped. The other overarching rule is to constantly keep a tab on your opponent's damage potential and hold back your weapon removal if possible. 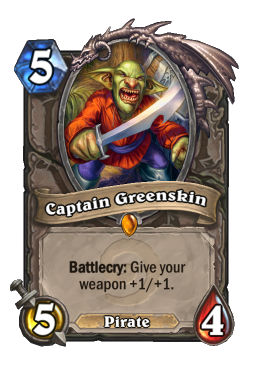 It can be tempting to go after an equipped dagger, but you should wait for weapon buffs like Deadly Poison or Captain Greenskin first. As with so many re-skinned decks, the mulligan here is the same as it has always been. You want all of your early game options (ones and threes) and then you build out from there. Must-keeps are Shield Slam , Town Crier , Stonehill Defender , and Gluttonous Ooze . 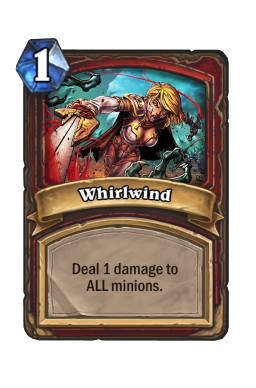 Whirlwind is a must-keep against Paladin, while Rabid Worgen is great against aggro or midrange (Druid, Paladin, Hunter, Rogue). 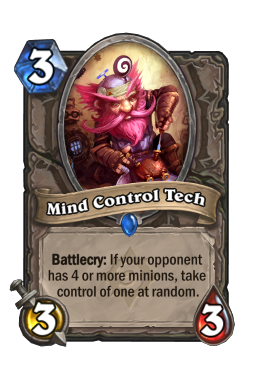 Mind Control Tech is strong against aggro as well. You can also keep Shield Block in combination with Shield Slam or Reckless Fury when facing an aggressive or midrange deck, and Ironbeak Owl should always be kept against Warlock. 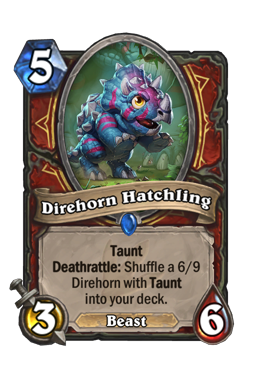 If you have a strong opening hand, Big Game Hunter is good against both Warlock and Spiteful decks, while Brawl is good against anything aggressive. Tank up! This deck is just a blast. Being able to get four armor for an entire game often feels unfair, and you have so many cool minions to mess around with. This list is a perfect example of how to adapt to a changing meta, and shows the importance of toolboxes. If you want to play control in a brand new and interesting way, this is the way to do it. Not only do you get some cool Witchwood flavor, but you get to bring back some old favorites as well. Hope you have as much fun as I am. Until next week, may you always win in fatigue.